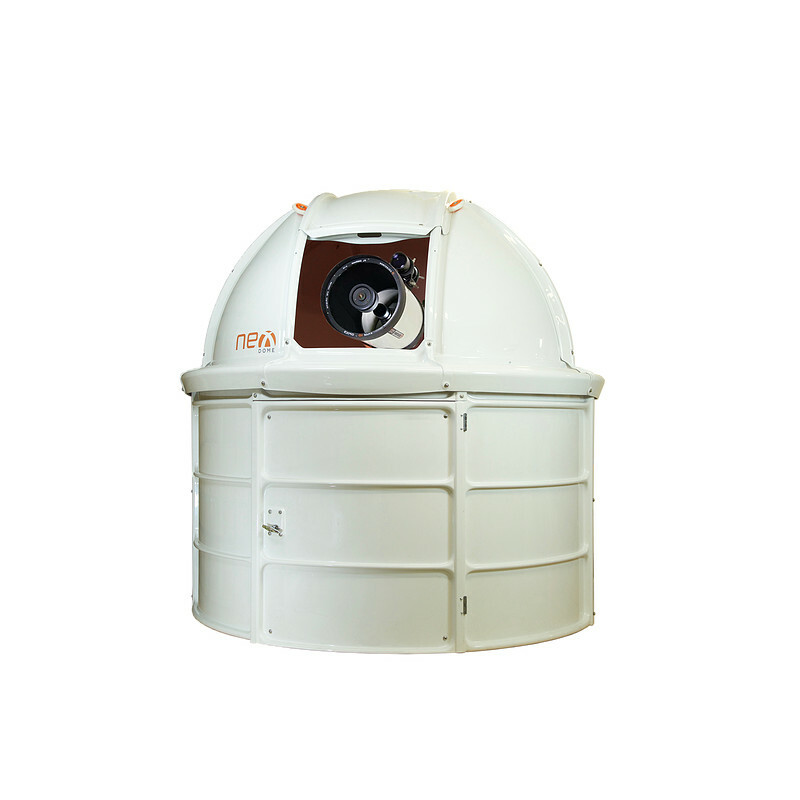 NexDome provides a revolutionary design of observatories. The domes can be shipped for only 60 Euros in Germany and 150 Euros Euroean-wide and can be assambled in just a few hours. 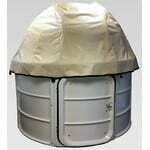 We stock the domes in our German warehouse, ship fast and cost-effectively and provide multi-langual customer service. 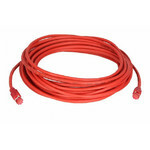 In contrast to the prices on the Canadian manufacturer's website, our prices include overseas transport to Europe, as well as EU customs and VAT. 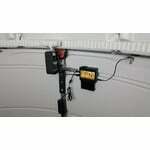 This article is significantly reduced in price! 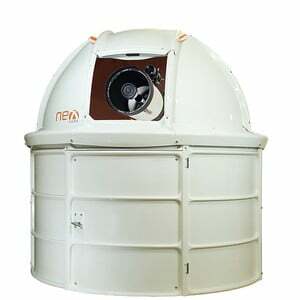 NexDome is the NexGeneration observatory that was designed with paying attention to problems and shortcomings of similar class observatories. 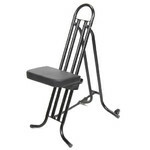 To name a few, overall price due to shipping cost, cost of accessories to overcome faulty desing or make. We achieved our main goal which was a well priced, strong, inexpensive to ship, easily assembled and professional looking observatory by developing a modular design which addresses all our criteria. Also, the other main advantage of this (patent pending) design is after sale support. 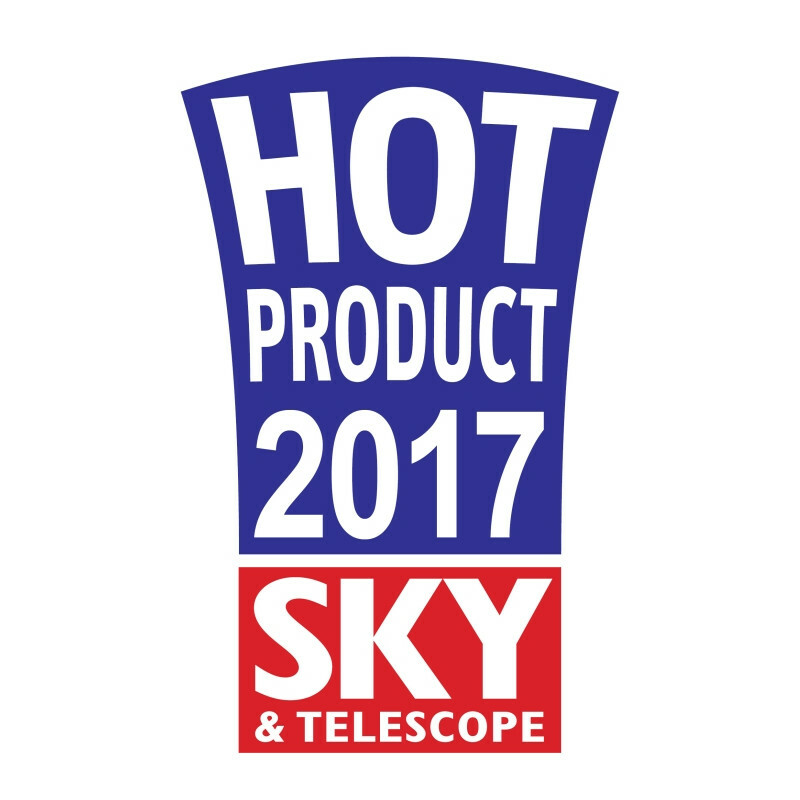 The biggest support problem common observatories are the lack of possibility of returning the defective dome or walls hence the cost of shipping back can be more than the cost of the observatory itself and meanwhile you don't have any protection for your telescope and expensive gears. 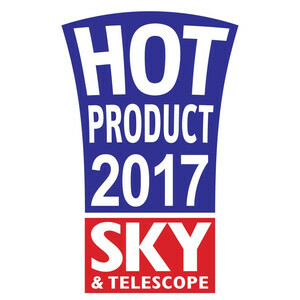 With NexDome if you manage to break a part or section, we will send you only that part without any hassels and you still have your observatory running. No repair! 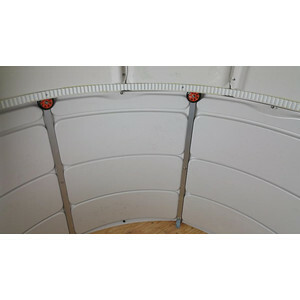 Nexdome’s unique dome wheels are installed at two different angles. 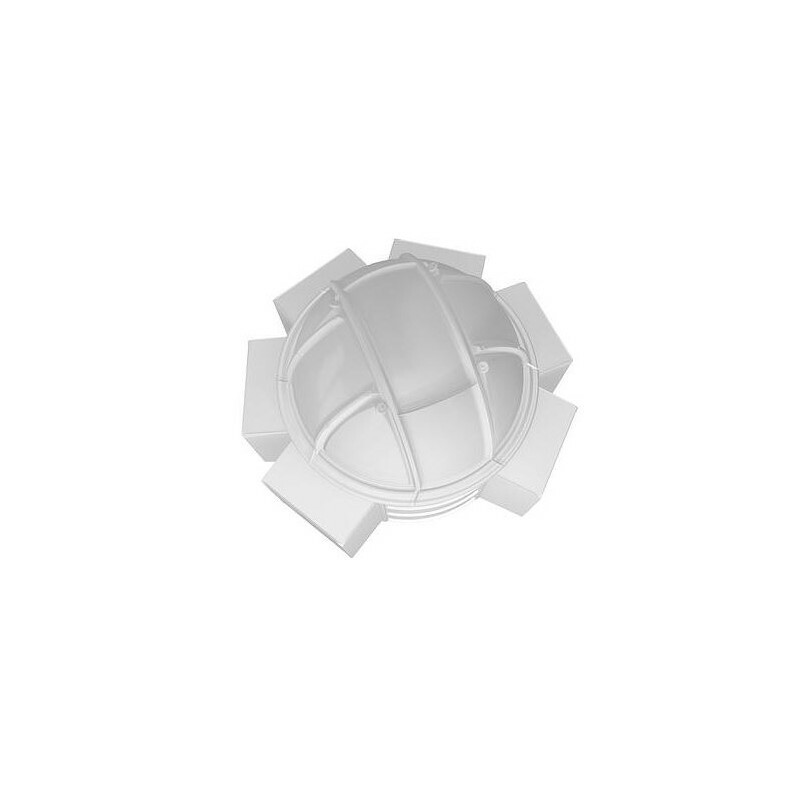 An upright set of wheels bears the weight of the dome and provides for rotation, while a second set of wheels keeps the dome from shifting, resulting in smoother rotation. The second set of wheels, in conjunction with the dome’s angle lip, provides critical protection from uplift in high winds. 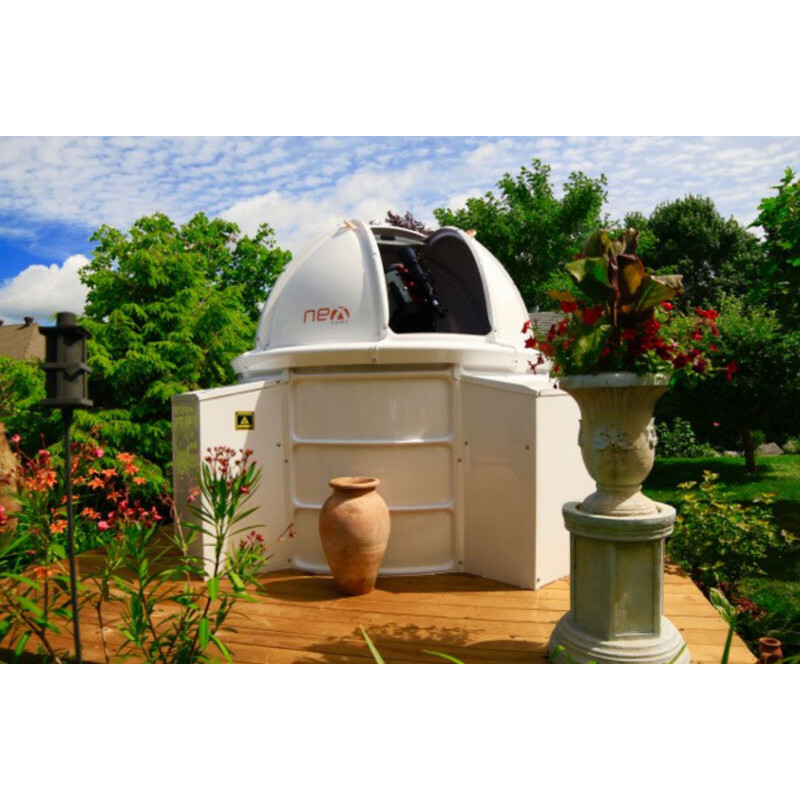 NexDome is a classic observatory dome with more than 100 degrees of shutter opening, allowing you to point your telescope to the zenith while the remaining shielded from stray light and wind. 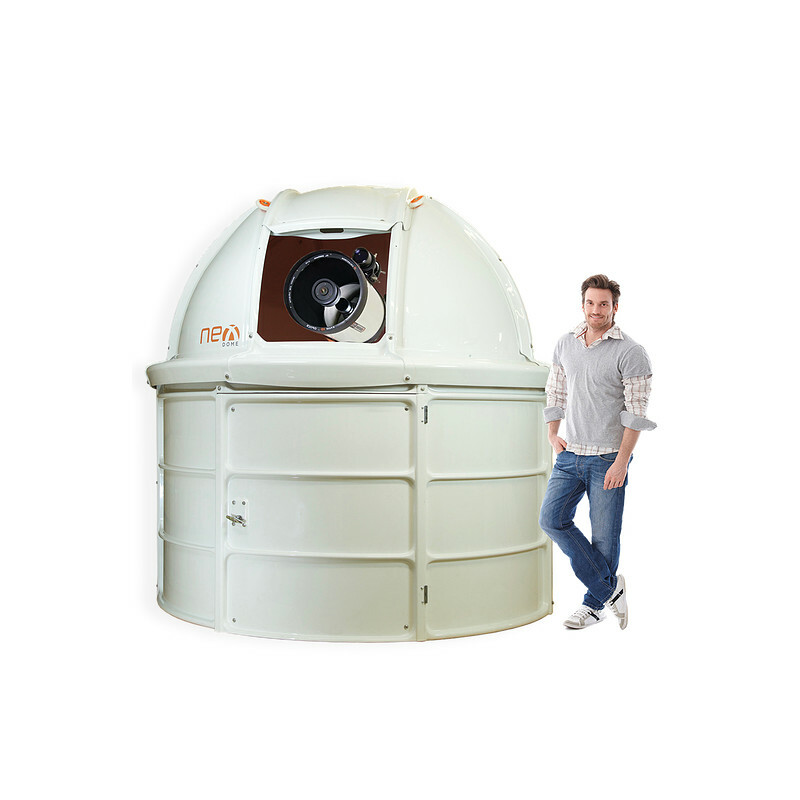 The 2.2 meter inside diameter provides plenty of space to operate up to a 12” Schmidt-Cassegrain or a refractor 1400mm long. 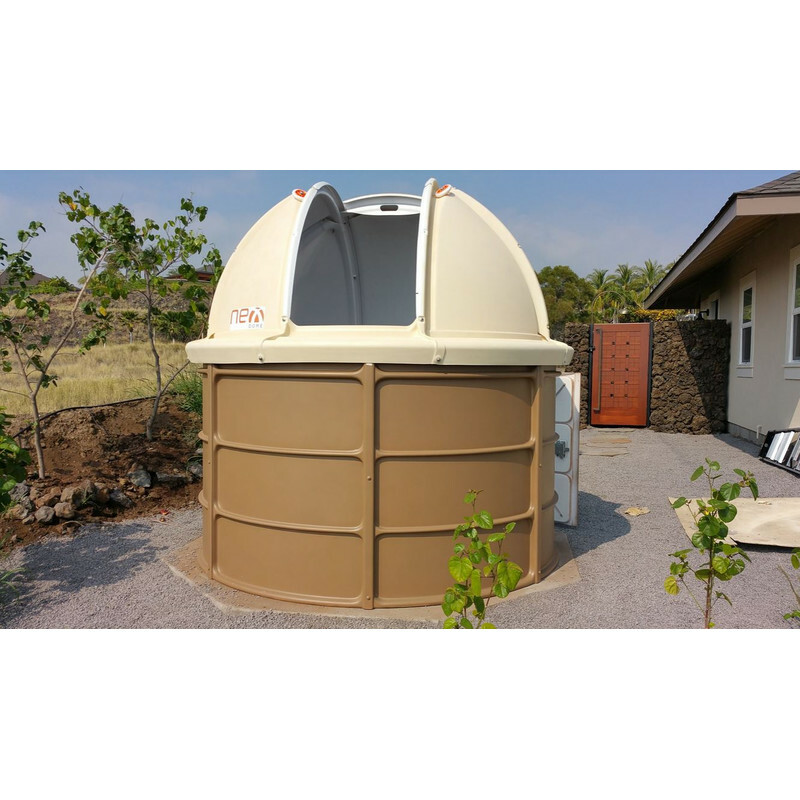 Nexdome’s higher walls make entry easier and provide more room for longer telescope tubes compared to conventional domes. 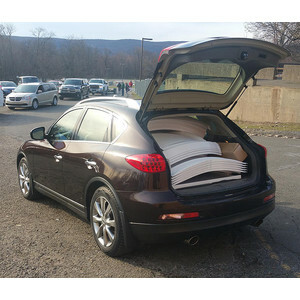 Shipping costs are reduced due to the nesting of parts, and thus smaller shipping packages. 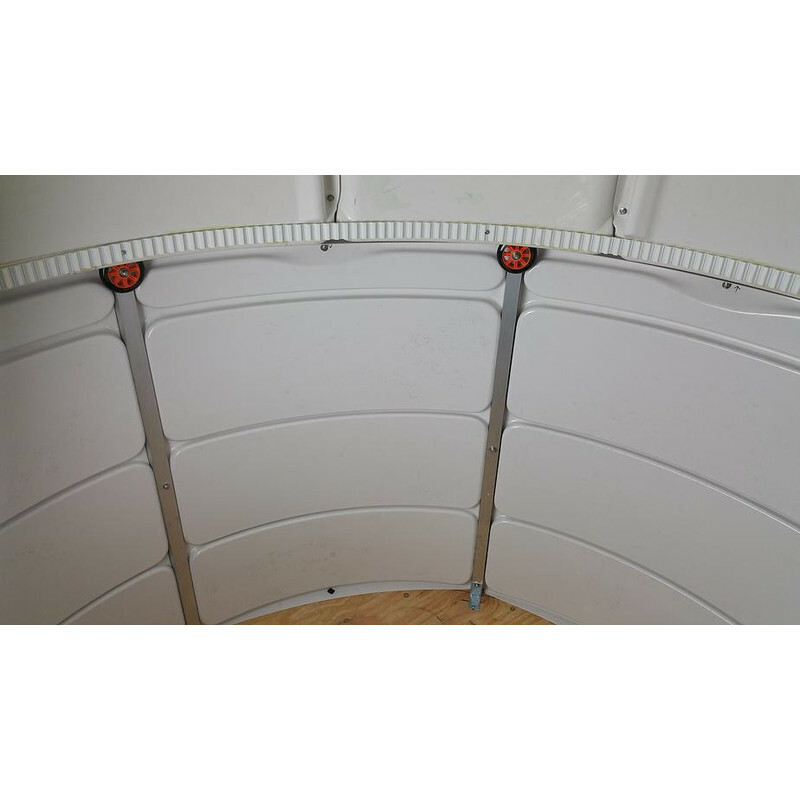 The NexDome’s light weight makes motorizing the dome easier. NexDome offers open source dome and shutter full automation and remote control. 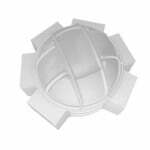 Structure and enclosure materials are combined, resulting in fewer parts. Assembly is simple and easy. 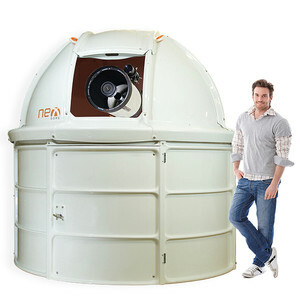 Thanks to the advanced design and low weight of NexDome, the observatory can be assembled in just a few hours. 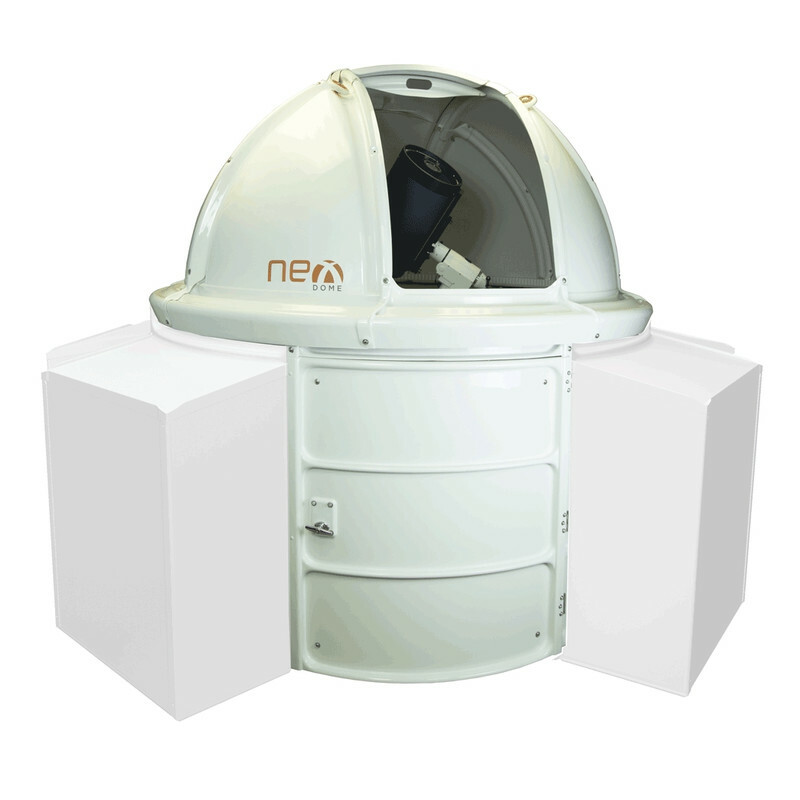 No special skills are required to assemble the modular NexDome. 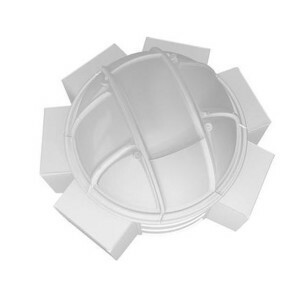 Material: Extruded ABS with Solarkote® UV-Coating, tested temperatures -60ºC to 48º C. Solarkote® is high impact layer that is tailored for UV protection as well as surface hardness and wethearability. Warranty: 5 years! NexDome products are warranted against material or manufacturing defects in ABS parts for 5 years from date of original purchase. NexDome Bay: The most spacious bay in it's class. 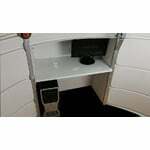 91cm (36") wide and 56cm (22") deep provides pleany of room for a working station and/or storage. It's hight provides a comfortable sitting and leg room for working behind the computer. The desktop / shelf provides (one shelf included) enought space for a large monitor up to 19", keyboard and mouse and plenty extra room for accessories. It was built with the same modular concept in mind which makes it strong, light, easy to ship and assemble. NexDome can accept 6 bays in total. The dream of owning your own observatory. Example of an observatory with two bays. A bay from the inside. NexDome can accept 6 bays in total. 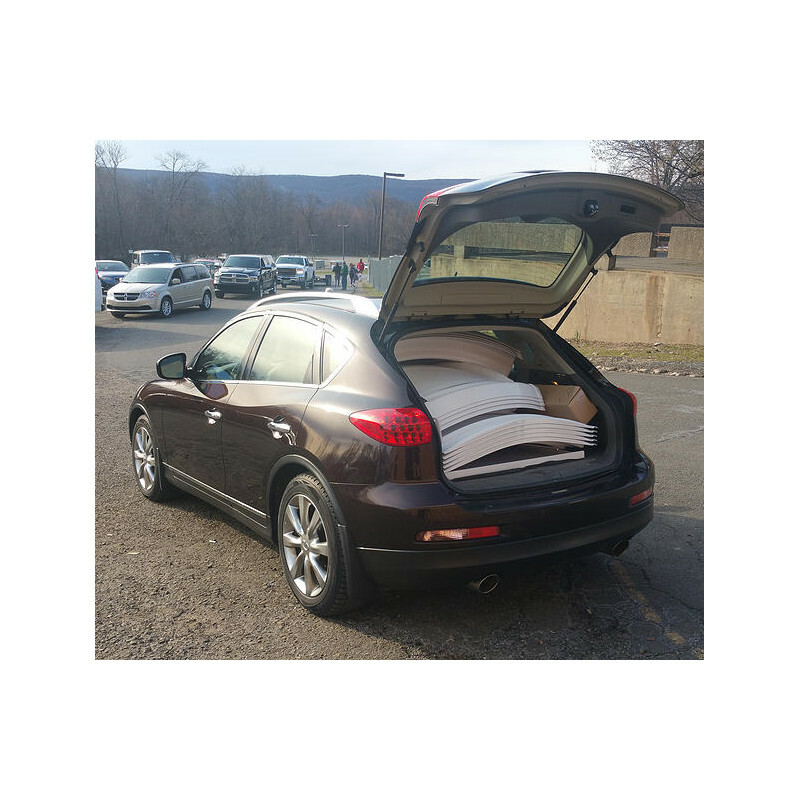 A bay is a bulge of the wall that serves as a storage space.